Lisa Sigal was born in Philadelphia, PA. In her recent work, Sigal has been painting on walls and making forms that combine painting with architecture. Her work suggests a mutable delineation between interior and exterior and explores their meaning both socially and politically. Utilizing and expanding upon notions of space, she investigates how art can challenge set ideas about property, containment and freedom. 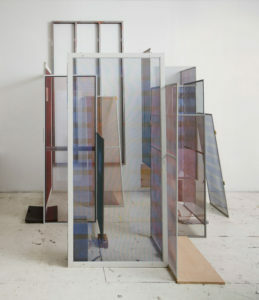 Her work was included in the 2008 Whitney Biennial and has been exhibited at the New Museum, MOMA/PS1 Museum, The Sculpture Center, the Aldrich Contemporary Art Museum, The Albright Knox and the Brooklyn Museum. 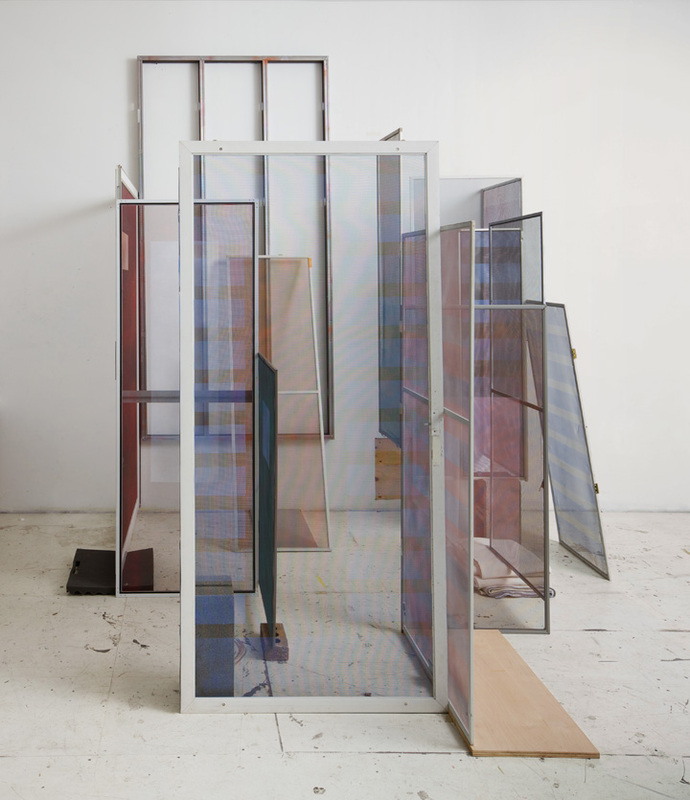 Recent solo exhibitions were at LAXART in Los Angeles and a solo show at Samson Projects in Boston and in 2015, a solo exhibition at The Mattress Factory in Pittsburgh. Sigal is presently exhibiting in group exhibitions: Prospect 3 New Orleans Biennial, Walden, Revisited at the DeCordova Museum in Boston, Crossing Brooklyn, Brooklyn Museum, Inside Out Art Museum in Beijing. Sigal is currently a recipient of a Walentas Family Foundation|Marie Walsh Sharpe Studio Program Grant. She received an Art Matters Grant and Creative Capital Grant in 2012, a Guggenheim Fellowship in 2011, the Joan MItchell Foundation Grant and the Elizabeth Foundation Grant in 1998. She received a BFA from the Tyler School of Art in 1985 and an MFA from the Yale School of Art in 1989. Sigal is currently curating Open Sessions, a new program at The Drawing Center. She lives and works in Brooklyn, NY.